Mount Gay is made on Barbados, a Caribbean coral island that’s a mere 14 miles wide by 21 miles long. 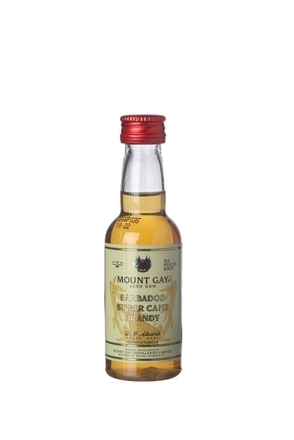 Barbados is often credited for being the first country to make rum and Mount Gay is believed to be the oldest rum brand name. Mount Gay make tentative claims to their estate first making rum in 1663 but the earliest written evidence is a deed of sale dated 20th February 1703 which documents rum making equipment on the estate. The sugar cane harvested from these estates is sent to the government refinery from where Mount Gay purchase the molasses from which the rums are distilled. The molasses are batch fermented in oak vats for 36 - 48 hours. The blends contain rums from both continuous column stills (light rum) and traditional copper pot stills (heavy rum). The bulk of the blends are distilled in column stills which produce a more neutral distillate of 97% alc./vol. in strength. 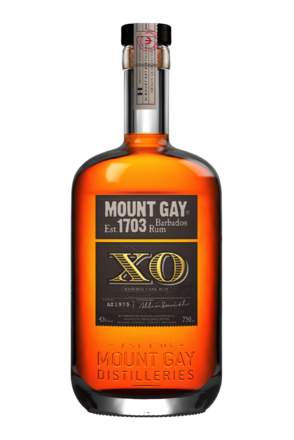 Character in Mount Gay’s various blends comes from the inclusion of more full-bodied (heavy) pot still rums which are first distilled to 55% to 60% alc./vol. and then redistilled a second time to 86% alc./vol. strength. 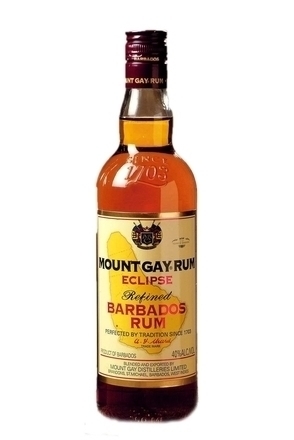 Incidentally, we have heard claims that Mount Gay were the first to use Column Stills in Barbados but this accolade goes to West Indies Rum Distillers in 1893. Mount Gay introduced their first column still in 1930. These two different distillates are taken to the south of the island where they are aged at a former 18th century sugar factory in small, 200 litre American white oak casks previously used to aged Jim Beam bourbon. The casks may be reused three to four times without recharging between each use. The distillates are matured in these casks for anything from one to twelve years before being blended at different ages, with the proportion of column still and pot still rums used varying according to which Mount Gay product the master blender is seeking to match. This could be as little as 3% or as much as 15%. 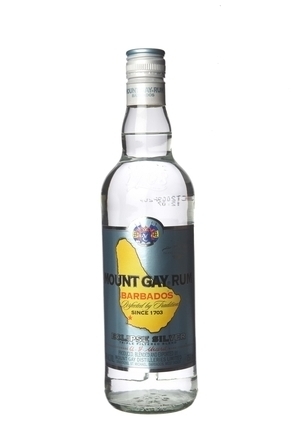 Mount Gay rums are filtered both before and after ageing with a variety of filters, including activated carbon and chill filtration (-10˚C). The rums are hydrated using Barbadian spring water drawn from deep wells. Blended from molasses based pot still (heavy) and continuously distilled (light) rums which are unaged but married for a short period in stainless steel tanks prior to bottling.